Recent work on working memory training has produced conflicting results regarding the degree and generality of transfer to other cognitive processes. However, few studies have investigated possible mechanisms underlying transfer. The current study was designed to test the role of proactive interference in working memory training and transfer. Eighty-six young adults participated in a pretest–posttest design, with ten training sessions in between. In the two working memory training conditions, subjects performed an operation span task, with one condition requiring recall of letters on every trial (operation-letters), whereas the other condition alternated between letters, digits, and words as the to-be-remembered items across trials (operation-mix). These groups were compared to an active-control group (visual-search). Working memory, verbal fluency, and reading comprehension measures were administered in pretest and posttest sessions. All groups significantly increased their performance over the ten training sessions. 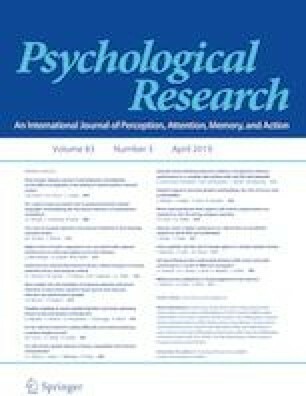 There was evidence of strategy-specific benefits on transfer, such that transfer to working memory measures was higher for the operation-letters group on tasks specifically involving letters, and no differential transfer to working memory tests without letters, to verbal fluency, or to reading comprehension. The results indicate that proactive interference does not appear to play a causal role in determining transfer from working memory training, and instead a strategy account based on stimulus content provides a more parsimonious explanation for the pattern of training and transfer. The research reported here was funded by the Office of Naval Research (Award # N00014-12-1-1011) to RWE. While working on this manuscript, TSR was supported by the National Institutes of Health (Award # 2R01AA013650-11A1). The research described here was presented at the 2015 annual meetings of the Association for Psychological Science and the Midwestern Psychological Association. We thank Devlin Bertha, Chandani Bhatt, Haley Brower, Caleb Carriere, Taylor Daniel, Kent Etherton, Andrea Grovak, Anoop Javalagi, Yun Qi Lim, Sarika Srivastava, and Michael White for assistance with data collection and scoring. We thank Nash Unsworth and Matt Robison for helpful comments on an earlier draft of the manuscript. The study described here was approved by the local university Institutional Review Board. Informed consent was obtained from all individual subjects included in the study.